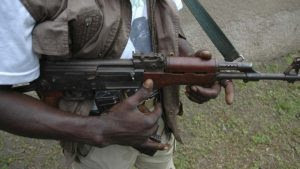 Barely one week after the killing of 26 people in a community in Zamfara State, gunmen have, again, hit another village in the state, killing 15 people. Public Relations Officer of the state’s Police Command, DSP. Muhammad Shehu said, on Saturday, in Gusau, the state capital, that the bandits killed the people in a village called Zakuna. He said the village is in the Anka Local Government Area of Zamfara State in Nigeria’s northwest. Zamfara State has seen repeated attacks in recent times that have left scores dead and added to the agony of unending attacks that have been blamed largely on the jihadist group, Boko Haram. Boko Haram has waged a deadly insurgency on Nigeria since 2009 in a bid to enthrone a strict Islamic code in the north but the Federal Government has descended on the group, decimating them. Shehu said that the attackers invaded Zakuna in the early hours of June 1 and rustled cows belonging to villagers. According to him, a vigilance group known as Yansakai took on the rustlers, forcing them to flee only for the bandits to reinforce and attack the village, killing 15 people.